I can’t say that I was interested in birds or birding at a young age or for a long period of time for that matter. In fact I can’t even say I was environmentally savvy growing up. As I mature however, a nice way to say getting older, my interest in ensuring a healthy planet for my children and grandchildren has become a greater calling. These life changes, in part, led to my interest in birding and bird photography. I became interested in birding in a very round about way. 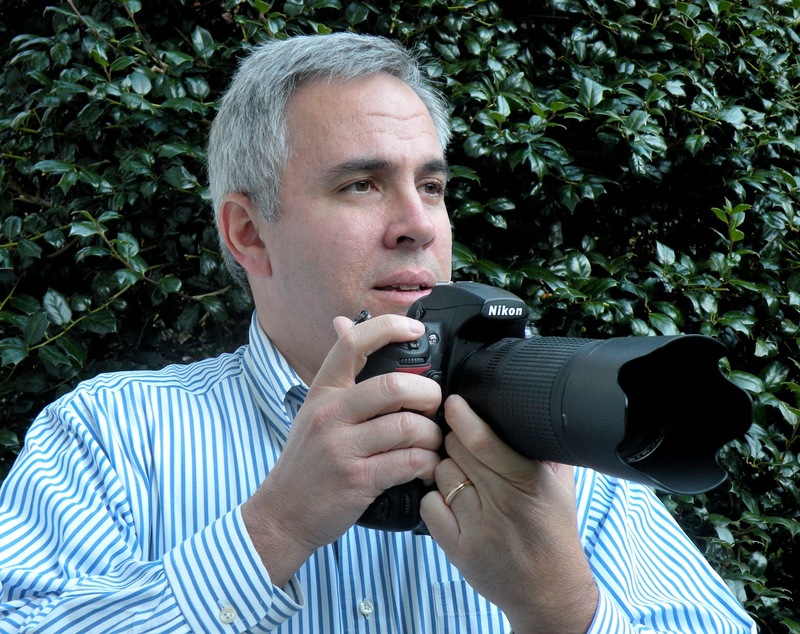 In 2008, I revived my long time love affair with photography. After 22 years sitting behind a desk, I decided I needed more balance in my life and that balance would come from something I had little exposure to in the past, the great outdoors. It started with nature photography but quickly moved to wildlife photography or what I like to call wild nature photography. In 2009, I attended a wildlife photography workshop hosted by Moose Peterson held at Glacier National Park in Montana. There I noticed a bird that completely captivated me. That bird was a Black-billed Magpie. While I didn't know it at the time, these sightings (it was almost comical, this species showed up everywhere I went in and around Glacier NP) would spark my fascination with avian photography. Another thing that inspired me while at this workshop was the absolute beauty of my surroundings. It was at Glacier NP that I became environmentally aware and decided that I needed to tell a story. The story was how awesome and fragile our natural surroundings really are… a story that must be told by us on behalf of those that cannot speak or write. Once I returned home to Connecticut, I started exploring wildlife viewing and research opportunities in and around my home state. Given that Connecticut is a coastal state, clearly the greatest number of wildlife viewing opportunities would be avian in nature and with that realization my research began. There are two people that have influenced me in regards to my wildlife pursuits. First and foremost would be Moose Peterson who I mentioned before. If not for him, I don’t think I would have pursued wild nature photography with such passion. Second would be my mother-in-law, Marilyn Penfield, an avid birder in her own right who I often seek advice on identifying birds. In general, I attempt to bird at least once a week. In practice, I think I bird all the time. 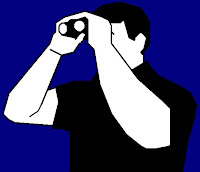 I am always looking for birds wherever I am and my binoculars are always in the armrest of my truck. However, I rarely go birding without the intent of photographing birds. By far and away the two places I bird the most are the western half of Connecticut and the eastern end of Long Island, New York. My favorite location is my own back yard! I have spent the last 3 years perfecting what I like to call my back yard bird observation and photography studio. Here I have arranged several feeders and perching locations so that the local and migrating birds of the region can stop, have a drink and something to eat. Some stay for a while, others just pass on through. I have even commandeered the guest room as my photography office as it sits adjacent to where the feeders are. Other locations I love to visit are Greenwich Point Park, Greenwich CT, Cove Island Park, Stamford CT, Sherwood Island State Park, Westport CT, White Memorial Conservation Center, Litchfield, CT and Dune Rd, Quogue, NY. 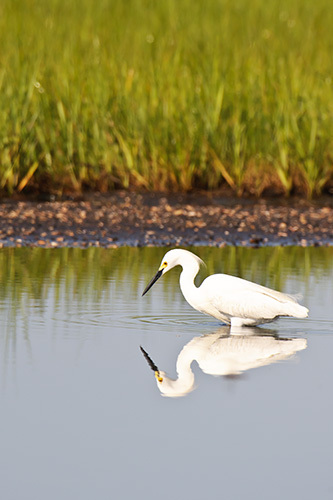 I also love to travel to Florida to photograph birds, so much so, I would like to move there some time in the future so that I can really explore all her wildlife beauty. Florida is one of my favorite places to travel to, with my camera. Botswana, Africa would be the most exotic place I have birded, but I have to admit that the real intent of that trip was big game, not birds. We did see a lot of birds, however and that trip did much to fuel my interest in birds. I hope to return to Africa sometime in the near future to visit new frontiers. It was interesting that during my time in Africa, I was saddened to think that at some time in the future, it would be likely that the vast open spaces where all this wildlife roams free, could be surrounded by large cities. I think, as a society, we need to make sure this doesn’t happen. We also need to make sure we reverse some of the damage in the locations where this urban sprawl has already occurred. I would consider myself an observer when it comes to how I approach birding. As I stated before, I really love to capture and create images that tell a story about the birds. This means I do a lot of work on the birds biology before I attempt to photograph many of them and I look for the different aspects of this biology as I am observing them. I would really enjoy working with some biologists in the future on some projects to increase my understanding of how these creatures live their lives. I truly believe that if you are going to tell a compelling and moving story with your images, you need to know the subject’s biology. The equipment never too far from my side is my Nikon Superior E 10x42 Binoculars, Nikon D3x and D700 DSLR’s and 600mm f/4 lens with any of the Nikon teleconverters. I also use a Gitzo tripod and Wimberley Gimbal head. I have a host of books that I use as reference, The Crossley ID Guide, Nests, Eggs and Nestlings of North American Birds by Baicich and Harrison and The Sibley Guide to Birds and The Sibley Guide to Bird Life and Behavior. My main method of tracking my birding success would be the filing system I created that I use for my image library. You see, for me, success in birding is not derived from seeing a bird in the distance. Instead, it comes from creating an image that elicits emotion when someone sees that image. So, for a successful birding outing, I need to come away with a tangible image that I can look at in the future that reminds me of that particular day and or something special about that bird. The image filing browser I use is Photo Mechanic. I also like Adobe Lightroom and Apple Aperture. I have just started using eBird and plan on being much more active with logging my sightings in the future for the benefit of others. On my iPhone, I use iBird Pro and Birdseye which maps into the eBird database. Both iPhone apps are critical to me in the field and in my research. 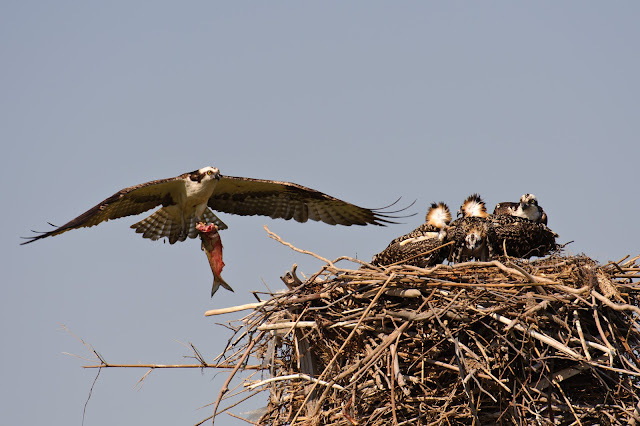 My favorite bird sighting has to be a male Osprey bringing a fish to his nest full of chicks for dinner. The sighting took place at a nest I have been watching for 3 seasons now in the town of Westhampton, New York. The male Osprey caught his fish in the bay and was resting on a pile along the shoreline. After eating the head, the Osprey made a direct flight for the nest and his calling mate and chicks. I had positioned myself so that I could get the shot I envisioned when the Osprey returned to the nest. Fortunately, I was in the right spot at the right time. My favorite yard bird would have to be the Cardinal because it is one of the hardest birds to photograph; they are very skittish when people or pets are around. Research is a large part of what I do before and after birding events so I am always reading. I read several blogs and websites. 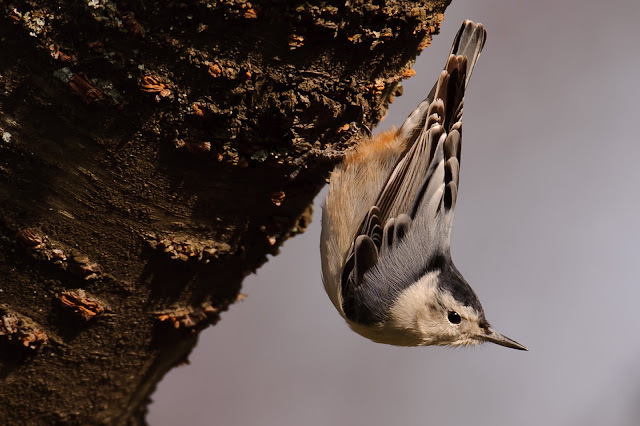 Birding is Fun of course, Birders who Blog Tweet and Chirp (BwBTC) is a compilation of many birding resources available on Facebook and Audubon Connecticut's blog. I also search Google Scholar regularly to read about any research written about wildlife. One aspect of birding photography research I did not anticipate was the difficulty in finding researchers to partner with and assist in their research. I never had an appreciation for the fact that some researchers have had poor experiences with photographers that have only cared about taking a picture and not really interested in the research. I hope to be able to change some of their perceptions! In the future I have a desire to visit the Rio Grande region of Texas to photograph on some of the bird ranches there. But on my bucket list is either a trip to Bosque Del Apache or The Platte River to photograph Sand Hill Cranes. 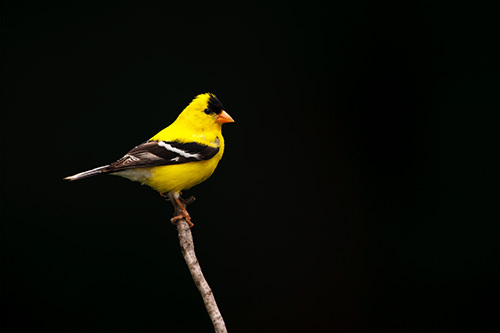 I currently live in New Canaan, Connecticut with my 3 awesome children and wonderful wife, none of which share my interest in birding or wildlife.... yet!